How are forests measured in France and for what purpose? Who does the French forest belong to? 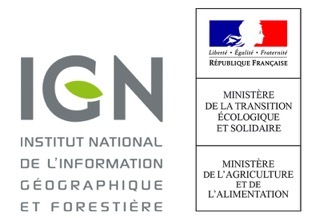 The NGI has developed an application for consulting the forest data base, department by department. Reach this page and click on the number of the French department you want to study. You may have access to the version 1 of the data base or to the last one, version 2. Once you clicked, a new page opens and shows you an interactive map, on which you can choose the layers you want. The translation of the request terms are available on this article. On the second tab ’Légende’ is the legend of the chosen layer. On the third tab ’Téléchargements’, there are some links for downloading data. IGN's purpose is to describe the surface of the national territory and the occupation of its soil, to elaborate and update the permanent inventory of national forest resources.